For years archeologists have been digging for artifacts in Tel Dor, an ancient town on Israel's Mediterranean coast. Days, even weeks, will go by without a find of any significance. 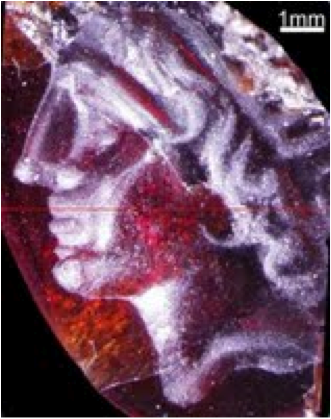 So imagine the sense of awe that fell on the dig last week when they uncovered a cornelian engraved with a portrait of Alexander the Great. It was 2,000 years old. To the historian, of course, this piece is enthralling for its story. The Emperor would have passed through Tel Dor in 332 BC on his way to Egypt having just taken Tyre. He died nine years later, just 32 years old, having conquered half the known world. To the jewellery historian, this piece fascinates for a very different reason: we can identify its source without any doubt. You see, while Berganza has some extremely rare Hellenistic and Roman intaglios in our collection, it is impossible to say with any certainty where they originated from. 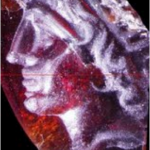 This piece, however, was unearthed on a University of Haifa dig, with world renowned archaeologists on site to scrutinize the details that reveal so much about jewellery making at that time. The length of the gemstone is less than a centimeter, and its width less than half that. Yet despite its size, its undeniable quality proves that master craftsmen not only worked in the small rural communities far from the thriving hubbub of the major cities, but they worked for the richest and most influential of customers. After all, this piece would have been extremely costly at the time and could only have been afforded by a nobleman or affluent merchant.